Rev is a venture-backed internet startup in San Francisco whose mission is to give more people the freedom to work from home. Rev provides a secure and confidential video caption service. Upload files, paste URLs, or pull from YouTube or Vimeo. Rev's team, not software, captions your video 24/7 with 99%+ accuracy, 100% guaranteed. Rev then emails you the file, which you can view and edit with their tools, then publish anywhere. Rev's Foreign Subtitles service has translated thousands of English videos into foreign languages. Rev can now subtitle your English videos into a variety of languages. For a low, flat price, they make your video accessible to a much larger audience. Order today and you will have subtitle files returned in under 48 hours. Rev's Transcription services provide audio transcription made simple. 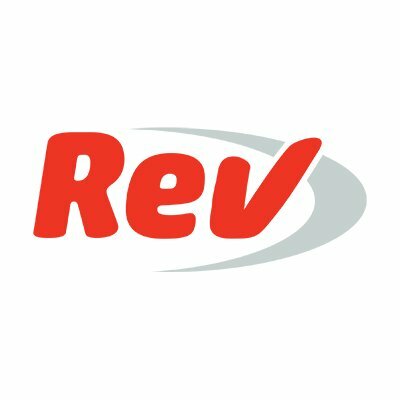 Upload files from your computer or simply paste a URL from the web, and Rev's team transcribes your files 24/7 with 99%+ accuracy, 100% guaranteed. Files under 30 mins are delivered in 12 hrs or less. Rev's team offers certified translation and business translation into 35 languages, including Spanish, French, German, Arabic, and more. They have experience translation everything from immigration documents and legal documents to academic texts and websites.